My brothers and I have a tradition of watching any Marvel/DC movie that comes to theaters. Good or bad, we are there, in the center of the cinema, ready with our popcorn and our hot opinions. So of course, the moment Captain Marvel was released, we started planning our routine pilgrimage to the movies. As we tried to coordinate schedules and figure out the best time to go, I found myself dragging my heels. This is due mainly to the not so favorable reviews that are littering up the internet. Even here at MovieBabble, the movie was awarded a C+, so you can see how I wasn’t so enthused about heading to the movies. I heard stories about people finding it so boring that they fell asleep. But tradition is tradition, so we went. And it was…well, let’s go with decent. The movie suffers from pacing issues and Captain Marvel herself would have benefited from more added layers. So why weren’t those layers given to her? It isn’t like Marvel doesn’t know how to give us a strong female character — Black Panther is a stellar example of that. The issue with Carol Danvers is the lack of an emotional arc. Despite the fact that Jude Law’s character Yon-Rogg keeps screaming at her to keep her emotions in check, I never quite see a display of this so-called emotion. She seems cold and detached, with only a sliver of camaraderie with Fury. Every other relationship lacks authenticity, and this is because of the way the story is structured. Let me explain. For an origin story, the past is a huge factor in setting up the journey for the protagonist. For Black Panther, it is his father’s past with his brother N’Jobu that becomes a contention T’Challa has to deal with. In Captain America, Steve’s experience as an outsider helped him to build up a strong moral compass. Tony Stark’s blindness in not seeing what his business was being used for helps in cementing his redemption arc. Captain Marvel gets nothing. She has no past, just mere flashbacks of her constantly trying to dominate male spaces and failing. She gets up each time she fails or falls, but that’s not the point. What inspired her to join the air force? What compelled her to stick it out in these spaces? It has to be more than sheer stubbornness. The problem here is we don’t know, and neither does she. This lack of past affects how her relationships play out as well. Her connection with Maria and her daughter is shown to us through artifacts (clothes and pictures), we never get to see these relationships develop. The movie feels that if they tell us they are close and the best of friends, and show us montages of them laughing and dancing, then we will buy into this relationship. This is why her relationship with Fury comes across a tad bit better, since its set in real time and we are privy to their banter and shared humor. While reading comments on a review for the film, one in particular stuck out, where the commentator noted that the movie better not let the “feminist factor blot out the actual story”. If Captain Marvel is a feminist (which she is), then doesn’t feminism become a part of the story? Feminism asserts equality between men and women, so the fact that a woman finally gets a narrative of her own in the Marvel universe is a step in the right direction. If I wanted to be pedantic, I would say it is far from equal. Marvel waited until it had a host of successful movies under its belt before deciding to include Captain Marvel in the mix. This is because by then, people have invested so much in these string of films they would see any movie that belongs to the franchise, even if they didn’t find the appeal in a female superhero. My prevalent thought while watching Captain Marvel is I felt that her narrative comes a bit too late. She would have succeeded better among the early days of Iron Man and Captain America. Because of Captain Marvel‘s position in the line-up, this means that her narrative needs to be maneuvered to the point where we left off in Avengers: Infinity War, with all of us waiting for the moment in the movie where she answers the page that Fury sent. So instead of a proper origin story, it comes across as mere set-up for the bigger picture that is Avengers: Endgame. In other words, she was shortchanged. They could have done something more with this plotline. Danvers spends every day for 6 years with this man training her — that has got to build some sort of bond. It did seem that he was protective of her, but I guess all he really wanted to do was weaponize her. After she finds out he is the one who killed Mar-Vell, she is angry for a moment and then she is over it. Think about how different her response is compared to how T’Challa felt when he discovered what his father had done to his own brother, or Stark’s reaction when he discovered Obadiah’s betrayal — both on a personal as well as ethical level. The movie had a real opportunity here to properly set up a conflict, and while I do like that she rejected his challenge to fight him on his own terms at the end, once again Danvers feels like a blank slate. As the film progressed, it became clear that the main obstacle for Danvers to overcome is the objectification of her body. Yon-Rogg takes her under his wing, but in doing so, subjects her to his control as well. She fights him according to his rules and the spaces he set up. Hence, at the end, we are supposed to feel a sense of inspiration when she breaks away from what has been holding her back. Her powers get full rein, and even when Yon-Rogg tries to push her back into the space he created, she refuses. I’m not gonna lie, I got teary-eyed during the montage of scenes where we see her falling but then getting back up again. It is akin to the manipulative skills of a really good commercial. Once my tears dried, I realize the tears I shed were for a hollow purpose. 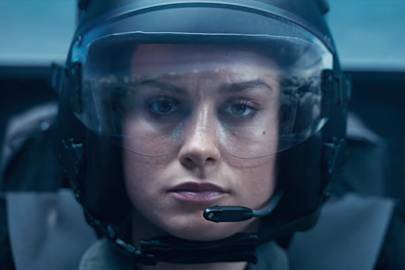 If Carol Danvers was breaking free from patriarchal restrictions, then the question is, to release what agent self? Who is she beyond these impositions? There is no sense at all of what motivates her. Why does she help the Skrulls? Does she feel bad for them? Is she just an all-round do-gooder? Everybody else who surrounds her are developed to the point of at least possessing a motivation that pushes them forward. Danvers is devoid of this. She is a mere vessel for feminist rhetoric and girl power, with none of the substance beneath. It is such a shame, because Captain Marvel had such potential, and with her next appearance being Avengers: Endgame, it might be a while before we circle back to her character to get further developments. DC might have dropped the ball many times when it comes to their movies, but it still has the better female superhero movie. Though at this point it doesn’t really matter, since Marvel is just laughing all the way to the bank. Thank you for reading! What are your thoughts on Captain Marvel? Comment down below! I actually quite liked this movie. Most of the criticism (here and other places) is lost on me. I think there is a difference between liking a movie, and the movie being a good movie. I liked Bohemian Rhapsody, but I recognise it is not a very good movie. Captain Marvel is a very meh movie for me, neither is it an accomplished piece of film. Just very mediocre all the way around. If this movie had been done differently, I feel like it would’ve fit in a lot better with most of the origin stories at the beginning of the MCU. SInce Danvers has been in the MCU for less than a month, it feels weird that she’s being set up to defeat Thanos when she hasn’t been there for 99% of the conflict. As for the movie itself, I honestly felt like it focused more on the fact that Captain Marvel was a woman than it did on her actual story. I agree that she shows little to no emotion and even worse, she doesn’t progress at all by the end of the movie. Marvel already has a bazillion empowered female characters, yet they waited until the stand-alone film to be all weird about it. Yesssss! That’s exactly what I was thinking! It’s not like they don’t know how, I mean look at Gamora, Pepper, even Black Widow has come into her own since the early days of her objectification. Narrative 101 is characterisation, and this is where they choose to drop the ball. Good review and good reader comments! I enjoyed both. As you know I don’t fully identify with the label, “feminist”, but my decision to not watch this film has nothing to do with that. I just was bored from the trailer and didn’t seem really interested in what’s going on nor do I know anything really about Captain Marvel as a character. And based on many reviews I’ve read, I don’t think I’m missing much. Yeah I don’t think you are missing much. The word feminist has become some diluted thing, reduced to a man-hating type of ideology, when it really isn’t. So I understand your lack of identification with the label. I don’t think feminism would’ve helped. If anything she could’ve easily become more polarizing. Instead of focusing on her story we’d throw social justice into a movie with a person who has barely any recollection of Earth? 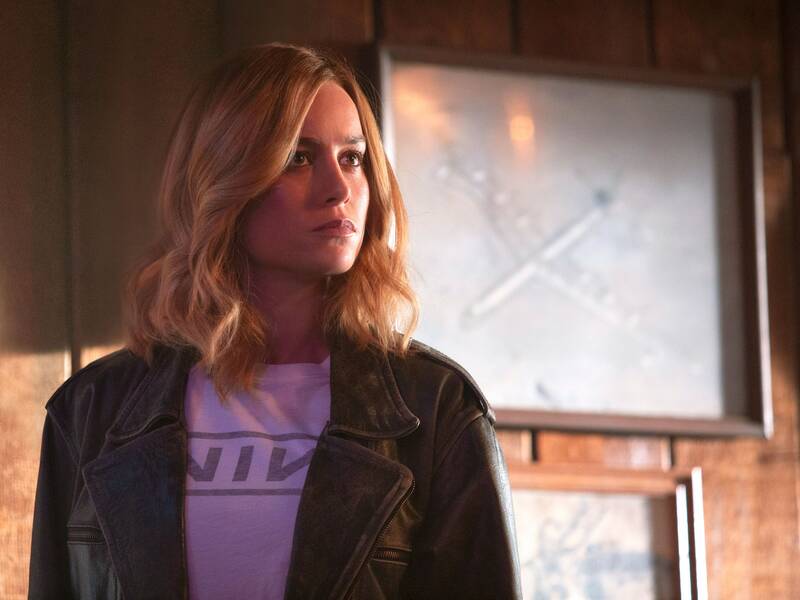 And aside from the post-credit scene Captain Marvel feels like a standalone film that isn’t trying too much to get us prepared for the finale. There are only small details that are interwoven like the The Avengers name origin. Her being a powerhouse doesn’t mean it has to come into play in Endgame. I do not think her breaking free from Kree was the patriarchy allegory. It only is if you read into it. You ask what motivates her: her emotions do! Just because she doesn’t show them doesn’t mean she isn’t feeling things. That’s why she came back for Nick Fury, that’s what the two later spoke of. Even though I’m in disagreement, whether I agree or not this line was savage: “Once my tears dried, I realize the tears I shed were for a hollow purpose.” You deserve a like for that line alone. Oh my dear sweet Olaf, buckle up, because you my dear sir, are in for quite a debate. I think social justice is already part of the film if you consider the skrull storyline and how very obviously it ties itself to the immigrant/outsider theme. I am not saying feminism would have helped, I am saying that’s what the film was obviously using, but in a vacuous and empty sense. The symbolism is so on the nose that I am definitely not the only one who has observed it. Consider what Yon-Rogg said about his blood flowing through her veins, his training of her, controlling her – it all sets him up as the creator and she the created. Also look at the spaces/figures the film set up to hammer in its feminist ideology. Danvers’ idol is a woman, the people she spends the most time with are Maria and her daughter, which is once again distinctly lacking a male figure. The daughter’s pep talk to mom about how she needs to go be the co-pilot to Danvers instead of sitting at home and watching TV with her. She says, “what kind of example would you be setting for your daughter?” It is a rejection of the domestic space. Coupled with the fact that Danvers has consistently tried to dominate well-known male spaces (air force, baseball/sport, racing etc). I mean, do I really need to get into the soundscape, which is mostly a composite of 90s female artists? “I’m Just a Girl” sounding out in the background when the big fight scene occurs is not enough evidence? Like I said, the symbolism is very much on the nose, so it really isn’t me thinking too much into it. Now, let’s tackle the emotional thing. As I mentioned in my post, Fury is the only one with whom there is some sense of an emotional connection, which is why their relationship works the best. But that is a current relationship, her past relationships have no real sense of emotion. I am not the only one to feel this, it was mentioned in the review as well. Thank you for the response. It’s just I think people are overly reading into things. Even with your examples from the movie, the film tells its story on the foundation of set values, it does not try to imitate them especially for said purpose. In general I noticed in today’s age it’s the latter that so many people constantly want and as a result, they end up only interpreting it and other things as such. Wow, really good article! I usually get turned off by movies that put the cart before the horse. Meaning, they tell me I should cheer for the female protagonist, instead of them blowing me away with a great character I can cheer for.